It turns out that you can make a niche in a wall for a coupleminutes! 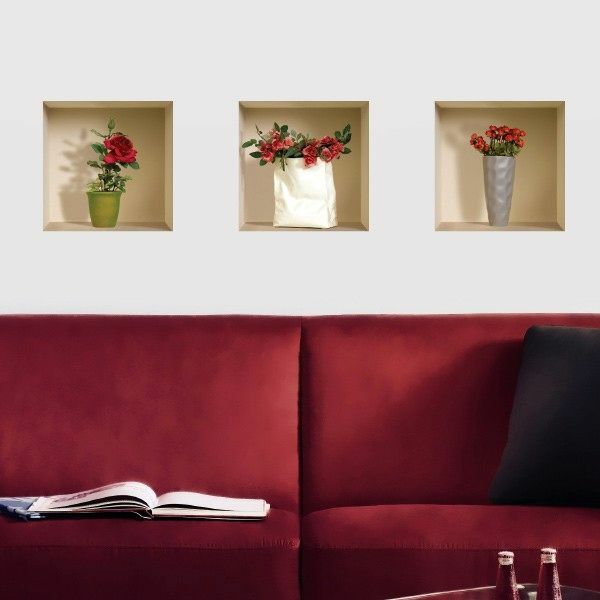 The illusion of the presence of a niche or a deep box (shadow box) in the wall is achieved using 3D stickers. 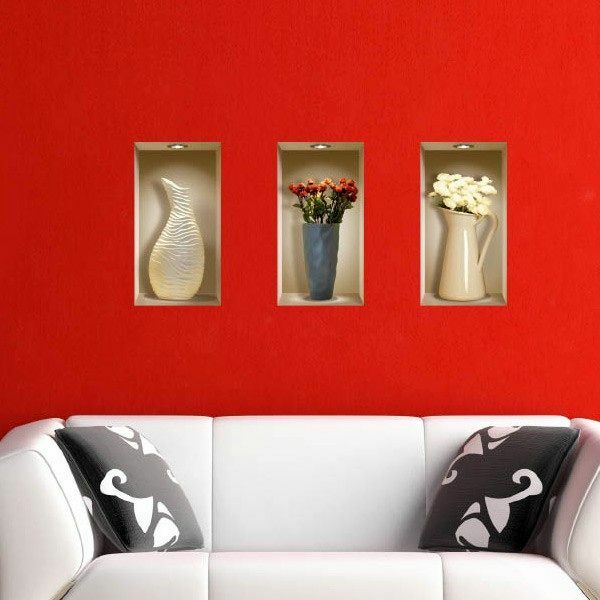 Such decorative stickers on the wall - this is a quick and simple decoration of the interior of any room. 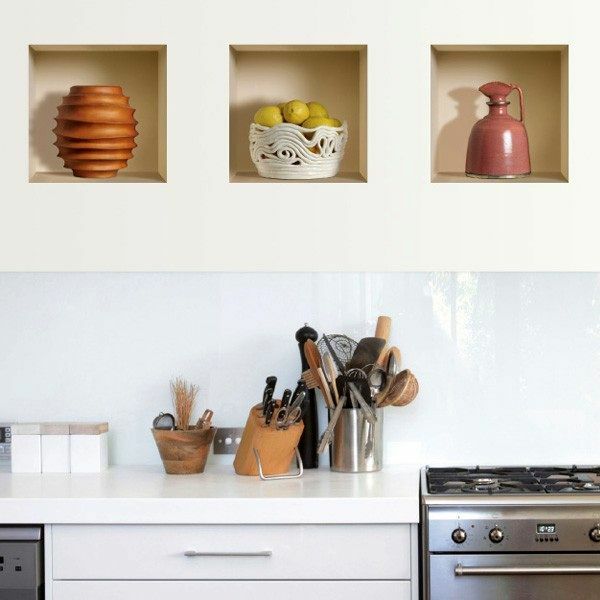 A very realistic image only near makes it clear that the vases, sculptures and toys in the niche are just a picture No one argues that a real niche or shadowbox on the walls will look much more interesting. In addition, you can change their contents at least every day. But this requires serious installation work, time, finances, efforts ... And the stickers allow to give the interior an interesting highlight in a matter of minutes, albeit with the help of a kind of deception. Still more original than just posters, photographs and paintings. The stickers have several advantages, especiallyimportant for tenants. They, as a rule, are not allowed to hit new holes in the walls or spoil them in some other way. These decorative stickers are reusable. They can be glued and removed several times, with no trace left! High quality special glue allows sticking stickers on any smooth surface - walls, windows, mirrors, ceilings. In the set - three stickers measuring 32 by 32 cm. The cost is not fantastic, as it often happens. Relatively little - $ 35. Pleasure yourself or your friends with a gift here.